My Favorite Mom Gift Ideas for Mother's Day or Mom's Birthday! Best Gifts for Moms on Mother’s Day, Mom’s Birthday or Christmas! You have landed on one of my favorite gift ideas page! I love buying gifts for my mom on all occasions! But if you are like me and are looking for something cool and meaningful to buy for your mom for Mother’s Day (that’s coming up soon!) or her birthday and even for Christmas, I would love to help you! I hope I can also help you find something cool for your mom! Perfect Gift Idea for Moms who LOVE Coffee! 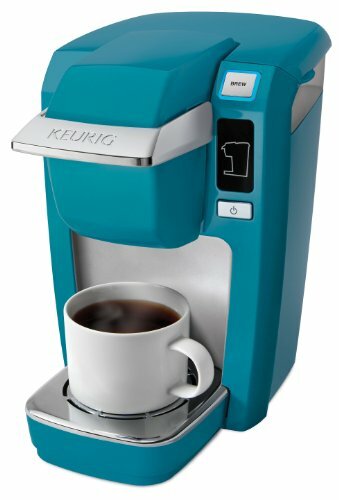 Cute and Colorful Keurig Single Serve Coffee Machine! If your mom LOVES coffee, one of the best gift ideas for her is a new and fun Keurig single-serve coffee maker! My mother loves her coffee and last year my sister bought her the new Keurig coffee maker as a gift and she loved it! The best thing about it, besides being so easy and fast to use, is that every cup of coffee always tastes the same! If your mom also enjoys her coffee, I think you have just found the perfect gift idea for her! Best Gift Idea for Moms who Love to Read! My mom is an avid reader! If your mom is like my mother and loves reading all the time, then the best gift idea for her is a new Fire tablet, of course! It’s great because she can take her whole library with her everywhere she goes! 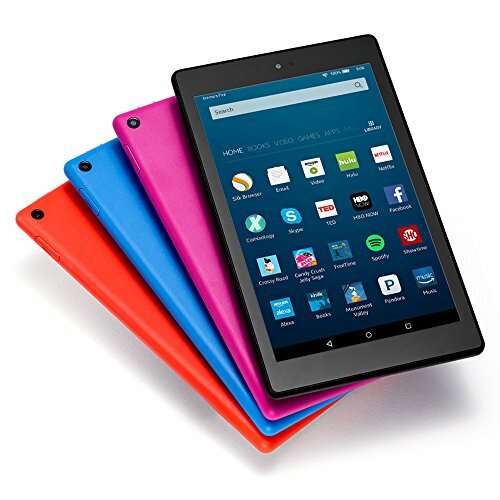 With the new Fire HD your mom will not only read books anytime she wants anywhere she is, but she can also watch movies, play games and even chat face to face with you, using Skype! How about a Cute Bonsai Tree for Mom? Very Cool Gift Idea for Mother’s Day! Does your mom love plants? I bought my mom a cute bonsai tree a couple of years ago and she loved it! They look very cute indoors and moms love taking care of them! 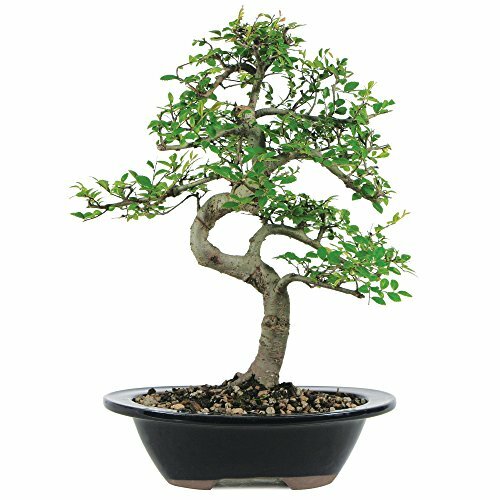 This is a very nice Chinese Elm bonsai tree! Every time she sees it she is going to think about you! A Mom makes a House a HOME! Beautiful Jewelry Gift Idea for Moms! This is one of the most beautiful mom necklaces around! It is a mother and child heart shaped gold necklace! It is the perfect jewelry gift idea for moms! Real Red Rose Plated in Gold! I had never seen one of these before! 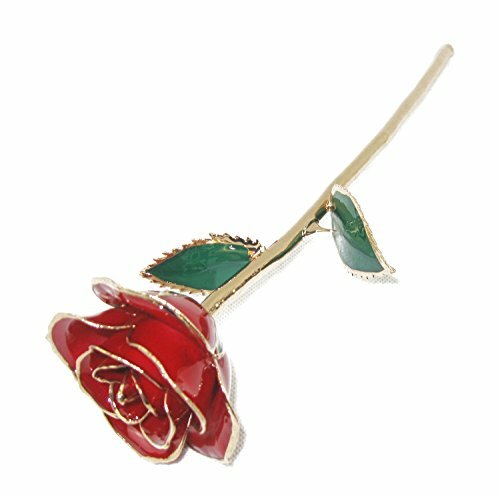 It’s a real red rose that was preserved in lacquer and trimmed in 24K gold! How’s that for a beautiful mom gift idea? This gold rose comes in a beautiful gift box and it lasts forever! How about a Cute Mom Wall Art? Cute Gift Idea for Mothers! If you want to find a cute and meaningful gift for your mom, how about this adorable wood wall art for moms? She can hang it in her bedroom or living-room and think about you every day! How about a Very Cute Mother and Daughter Figurine? Cute Gift Idea from Daughters to Moms! I love buying my mom cute figurines! This is one of the most adorable figurines from daughter to mom! A daughter kisses her mom on the cheek while she is fixing her teddy bear! It will definitely bring tears to your mom’s eyes when she opens her beautiful gift! 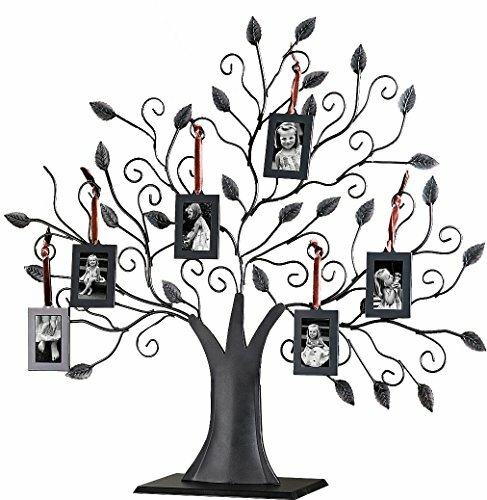 Another super cool gift idea for mothers is this beautiful and fun family tree picture frame! You can add the whole family on this tree and give to your mom on Mother’s Day! Perfect to have in her home office or in the living-room! How about a fun pair of Mom flip flops? If your mom loves to wear flip flops, how about giving her a fun pair of pink flip flops that also say “Cool Mom”? This pair has a fun design of a fashion mom carrying her two kids! I think they make cool and unique gift ideas! 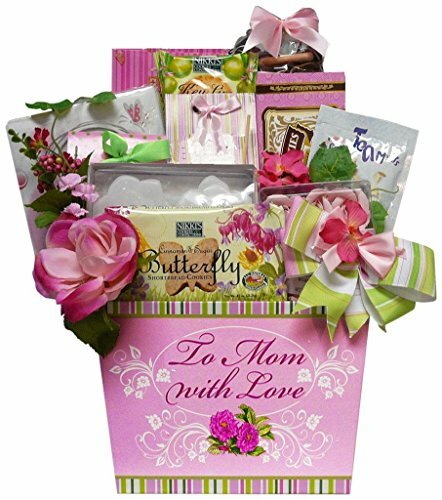 If all else fails and you can’t decide on a gift for your mom on Mother’s Day, then give her a nice mom gift basket! I have done that many times in the past and my mom loved getting them. This one is very pretty and very affordable! It comes filled with nice treats for your mom, including nice tea, delicious cookies and some other special treats such as floral bath salts, rose shaped petals soap and more! *I hope you enjoyed my mom gift ideas list in this page and were able to choose a cool gift for your mom!